Sentence tightened for ex-Russian Deputy Culture Minister in restoration embezzlement case | Russian Legal Information Agency (RAPSI). MOSCOW, December 24 (RAPSI, Kirill Ryabchikov) – The Moscow City Court on Thursday toughened sentence for ex-Deputy Culture Minister Grigory Pirumov to 3 years in prison with a 1-million-ruble fine for embezzling over 100 million rubles ($1.5 million) allocated for the restoration of cultural objects, RAPSI reported from the courtroom. Prosecutors have asked to give Pirumov 5 years in prison with the fine. In December, the Supreme Court of Russia ordered reconsideration of the case. The Dorogomilovsky District Court of Moscow sentenced Pirumov to 1.5 years in a penal colony as part of the cultural object embezzlement case in October 2017. The court took into consideration the time Pirumov spent in detention and freed him in the courtroom. On December 19, the Moscow City Court toughened punishment for Pirumov. The court imposed a 1-million-ruble on ex-official and deprived him of the second-class medal of the Order of Merit for the Motherland. However, prosecutors again filed an appeal against Pirumov’s sentence demanding a 5-year prison term for him. In July 2018, the Moscow City Court’s Presidium refused to toughen sentence for Pirumov on the request of prosecution. 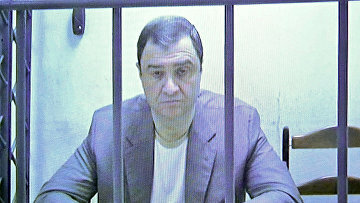 Investigators claimed that between 2012 and 2016 Pirumov, ex-director of the Culture Ministry’s department of property management and investment policy Boris Mazo and several other defendants embezzled over 160 million rubles ($2.4 million) allocated for restoration of the Novodevichy Convent in Moscow, Ivanovsky Convent in Moscow and other objects across Russia. Currently, Pirumov is in detention as part of a new embezzlement case launched against him. He is charged with embezzling in conspiracy with his accomplices at least 450 million rubles ($6.7 million) allocated for the construction of the Hermitage Museum’s buildings. Previously, his detention was extended until January 17. Pirumov was relieved of his post in December 2016 on an order Chairman of the Russian Government Dmitry Medvedev.